Organising business class flights to Doha is easier when the team at Just Fly Business help. Our travel specialists will create the perfect itinerary that can include fantastic accommodation, car hire, transfers, tours, or parking. 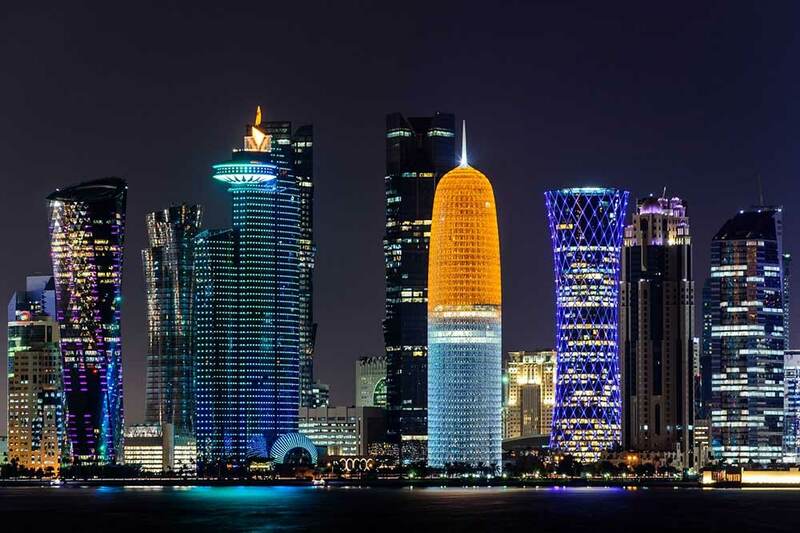 Our team of professionals will organise your business flights to Doha at very competitive rates. Whether travelling for business or leisure, your personal travel consultant will provide exceptional service which helps to create and maintain long lasting relationships with you or your company though finding you the best business or first class flights to Doha to suit your needs. Take a walk along the open parkland, known as Al Corniche, that runs along the gulf. AN area that is used for both exercise and relaxation by the locals, the path features many sculptures such as the famous Pearl on the Oyster Monument, as well as giving fantastic contracts between the new city skyline and traditional Dhow Wharf. Insider’s Tip: For an extra special evening, take a cruise from the Pearl Islands back to the Corniche. The city lights across water make for a lovely experience that photographers and romantics alike will enjoy! 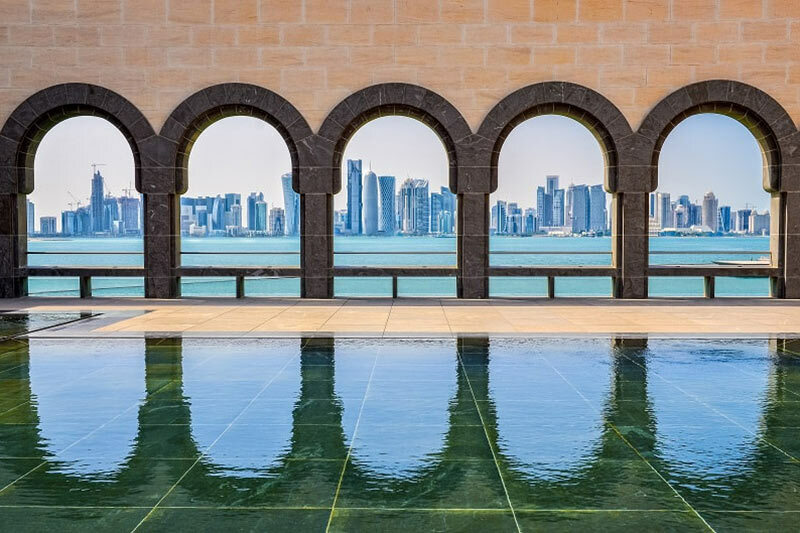 Located at the city end of the Corniche, the Museum of Islamic Art sits proudly jutting out into the gulf. Containing some of the world’s finest Persian rugs, Turkish mosaics, and Damascene wood carvings, it is easy to get lost in the cool hallways for a few hours and experience a culture that has existed for centuries. Even if the beautiful art is of no interest, the building itself is a unique modern take on the traditional styles of Arabic architecture of the area. Walking through the grand halls and courtyards is an experience all of it own! Insider’s Tip: The museum’s opening times vary day to day and entry is free of charge. Generally they are open from mid-morning, although they do not open on Tuesdays. Opposite the Dhow Wharf is housed the thriving madness of Souk Waqif. With a maze of narrow corridors between vendors selling everything from spices and antiques, to textiles and jewellery, you can often get caught up in the chaos and come out with laden arms. Put the bags down for a moment on the outskirts of the market and enjoy a Turkish coffee as the sellers and buyers whirl around you in the timeless dance that has turned the world for millennia. Insider’s Tip: Keep your eyes open inside the Souk for the specialty birds available. The Arabic culture places special emphasis on species such as falcons which can be purchased here! 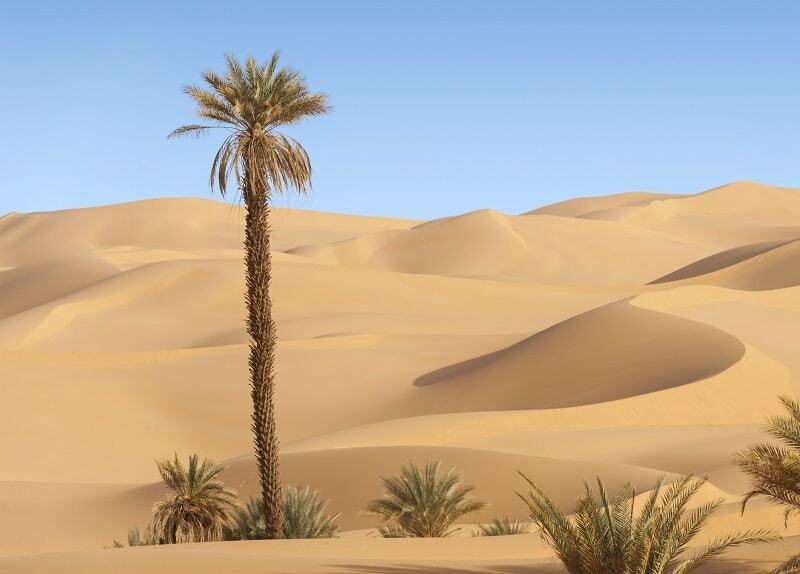 One of the favourite pastimes of the local people, and the tourist industry that has sprung up around it, involves the adrenaline filled tours of the nearby sand dunes in the surrounding desert to the south of the city. Take a day trip in an SUV and be welcomed in the Bedouin style tents before experiencing some hair-raising adventures of being driven around the shifting landscape climbing to heights of 200 metres. Alternatively, head out on a day tour to where the desert meets the city and visit some of the original forts and towers that showcase the wealth of the past civilisations of the area. From the ancient at Al-Zubarah and Al-Wsel, to the more modern Al Wakrah, the architecture and history of Qatar is captivating. Insider’s Tip: Al Zubarah is the only UNESCO World Heritage listed site in Qatar and was a major port for trading pearls in the 18th and 19th Century. Located an hour outside of the city, the Al Maha Sanctuary (also known as the Arabian Oryx Sanctuary) is a preserve for the endangered Arabian Oryx. The animal is the national symbol of Qatar with its curved horns even featuring on the national airline’s logo, Qatar Airways. The sanctuary is helping the species come back from the edge of extinction with its captive breeding program, the first Arab nation to implement this conservation strategy. Located on the shores of the Arabian Gulf, the Doha Marriott Hotel offers diverse meeting spaces, with the Al Maha meeting room offering some of the best views in the city. 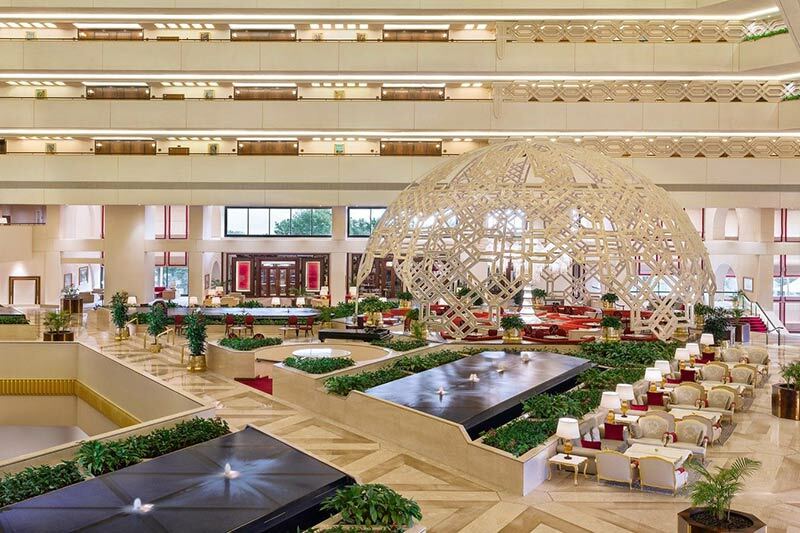 With several areas able to be utilised for your business needs, the Sheraton Grand Doha Resort is the perfect venue for a meeting, conference, or event. The small island nation of Bahrain is a monarchy kingdom located in the Arabian Gulf. Joined to the mainland by a highway with Saudi Arabia, it is located directly off the northwest coast of Qatar and remains one of the most multi-cultural nations in the area. It is a common joke amongst locals of Damman that the Sheikh of Saudi Arabia built an airport bigger than the entire country of Bahrain just across the water. King Fahd International Airport is the largest in the world covering 77,600 hectares. With major business ties, Damman has grown on the international scene as a significant player in the Middle East. Doha is an interesting city with a lot to offer. Blending traditional styles with cultural highlights, it can be used as a gateway to the Middle East with short connections on to the more glitzy and glamorous cities of Abu Dhabi and Dubai. Hottest Months = Doha is warm to hot all year round with the hottest months between May and September.